Late last week, Atlanta based Delta Air Lines announced a large expansion of its focus operation in New York’s La Guardia, adding more than 100 additional daily flights to 29 new destinations. The expansion was made possible by the final approval of the carrier’s slot swap deal with US Airways that saw Delta trade landing slots at Washington’s Reagan National Airport with US Airways in return for landing slots in La Guardia. In its PR materials, Delta has consistently touted the advantages of its new “hub” in La Guardia, which is a critical cog in its plan to “Win New York” from competitors American, United, and JetBlue. Given the natural excitement surrounding this deal, we thought we’d take a look at Delta’s new operation and judge whether it can truly be considered a hub. Before we start, we’d like to clarify a few things. Firstly, the idea of a dual hub for Delta split between JFK and La Guardia in New York is compelling, but at the moment more of a pipe dream than anything. It takes more than 40 minutes under perfect traffic conditions to get from La Guardia to JFK door to door, and that timing excludes security checks and baggage claim then re-check amongst others, and as such is simply not feasible. That being said, the following analysis looks at the Delta hub on July 17th, 2012. At this point, the La Guardia operation will be in full swing, with the first batch of slots having been transferred on March 25, 2012, and the second; July 11, 2012. Before we swing into our analysis of the new hub, we thought it’d be helpful to characterize the various new flights into several key groups. 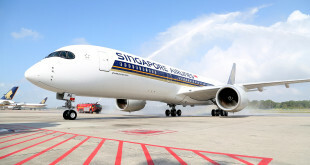 These flights are usually present in both major hubs and large O&D (origin and destination operations); while the flights obviously have large amounts of high-yield O&D travelers, they also are used to feed flights to smaller destinations and vice versa. This batch of additional flights are once again increases used mostly for business travel, but adding frequency can enhance hub operations as well. These selected small markets either have significant untapped demand for high-yield O&D to NYC, or untapped demand to other destinations in connecting markets. These destinations are once again large O&D sources that provide a large amount of feed for a hub (note the multiple daily frequencies in many markets). The following video has a few renderings of the new terminal at La Guardia along with some key facts about Delta’s NYC operations. With all of that in mind, let’s actually take a look at Delta’s operations in La Guardia on the 17th of July, 2012. As the chart shows, Delta will have a large operation in La Guardia; albeit one that falls short of the typical critical mass for a hub in the United States of around 300 daily departures. Still, the available seat capacity on an annualized basis is more than 16.4 million; at an airport that handles about 28 million passengers per year. In terms of destinations served, 59 may not seem like a large number until you consider the fact that flights at La Guardia are limited to those within 1,500 miles (excluding Denver). The following map should give a good illustration of this, with current La Guardia destinations marked within the perimeter (denoted by a red line). Traveling left to right, the destinations marked outside of the perimeter are Regina, Canada, Denver, Austin, Cancun, and San Juan. An interesting figure is the percentage of available seats that are premium, 10.1%. Given New York’s position as the economic powerhouse of the United States, and the flight caps at La Guardia, one would expect this figure to be larger. 10.1% is actually less than our calculated figures for other Delta hubs like Atlanta, Detroit, and Minneapolis. 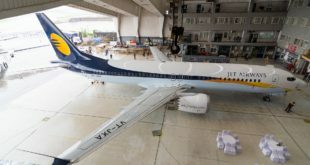 Also notable is the split between flights operated by mainline aircraft, and those operated by regional partners under capacity purchase agreements (CPAs). 28.9% is on the low side for a typical hub operation, although the following table, which details the number of daily Delta flights at La Guardia by aircraft, should clarify their rationale. As the table indicates, a large chunk of these flights are on 70-90 seat regional jets such as the Bombardier CRJ 700/900 and Embraer E170/175. These aircraft are configured in two classes of service, and allow carriers to offer a first class cabin while maintaining frequencies. Thus, Delta might have substituted 70-90 regional jets in place of more expensive mainline aircraft in order to maintain frequencies, which are critical to generating high fares domestically, in large business markets. Over the past few years, the operating economics of regional jets have been questioned by industry analysts. With many La Guardia flights being operated on inefficient 50 seat jets, it will be interesting to see how the operation performs economically. Meanwhile, the following tables illustrate the largest destinations from La Guardia by frequency, daily seat capacity, and percentage of seats that are premium respectively. The tables covering flight frequency and capacity are both actually quite typical of hub operations; with frequencies being highest in large business markets, and capacity being highest in large business markets, and important Delta operations (hubs and large destinations). However, the breakdown of premium seats is actually more indicative of an O&D focused operation. In typical hubs, the largest premium operations are to large business markets which see high volumes of connecting premium passengers. In La Guardia, Delta has instead chosen to weight its premium capacity towards smaller markets where they have a monopoly or face limited competition; so as to maximize revenues on an individual flight basis, as opposed to the network revenue maximization strategy employed at most other hubs. The basic idea of a hub is to connect people from points A to B while funneling them through a common point C. Thus most hub operations employ banks of flights, in which a group of inbound flights arrives, and then a group of outbound flights departs within an hour; thus maximizing the connection potential of the hub. Large airline hubs will have several of these banks daily, but at La Guardia, the slot controls have somewhat restricted Delta’s ability to engage in this strategy. 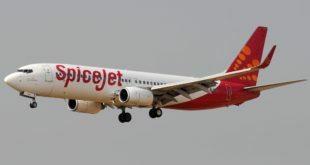 They have been instead forced to operate a rolling hub (which we first introduced in our analysis of SpiceJet’s Q400 operation), and an imperfect one at that. The following chart maps Delta’s flight frequencies by the hour of day. In an ideal rolling hub, the “peaks” and “valleys” of this frequency graph would be opposite of each other. Departures would be maximized when arrivals were minimized and vice versa. However, as this graph shows, Delta has only been able to partially achieve this vision under the slot constraints. Meanwhile, on the capacity side, the operation is actually much flatter; so the true connecting volume might actually be less than one would predict. As expected, the outbound capacity peaks in the morning (with business travelers heading out to get at least a half day’s worth of work done that night), and inbound capacity at night (when aircraft will be parked overnight to once again fly the business travelers out the next morning). Ultimately, the Delta operation in New York La Guardia will be very powerful, but not truly a hub. The destination portfolio for Delta from the airport is sound, but the actual operations do not fluctuate enough (capacity-wise) to truly drive connecting volume. Do not let our pessimistic view of the idea of a Delta hub La Guardia extend to our opinion of the operation itself. Simply put, Delta’s expansion at La Guardia gives them a large operation at New York’s preferred airport for business travel; an operation that should be profitable for years to come.